Aging: steel tank and tonneau from 500 – 600 liters for 12 months. Aged in the bottle for 9 months. Bouquet: intense fragrances of blue flowers, forest floor, pine sap, wood and berry. 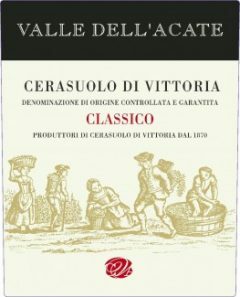 Palate: The smooth, juicy palate delivers concentrated raspberry and black cherry flavors, with hints of licorice and Mediterranean herbs with a freshness and elegance typical of the Nero d’Avola of the “Ragusa area”. Food Pairings: Elaborate meat dishes, roast meats, stewed meats; recommended with cheeses matured from three to 13 months.